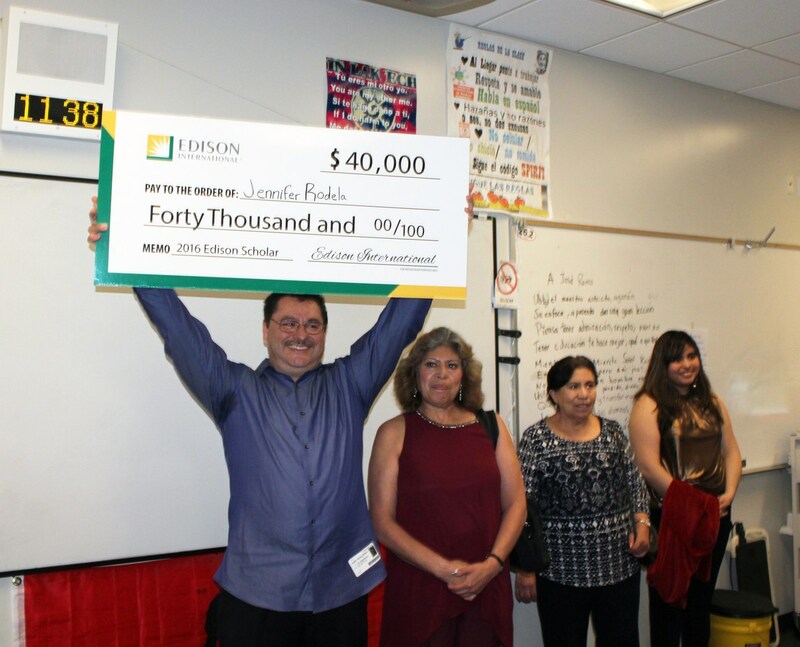 Leuzinger senior Jennifer Rodela was surprised while in class by Edison International, who awarded her a $40,000 scholarship. 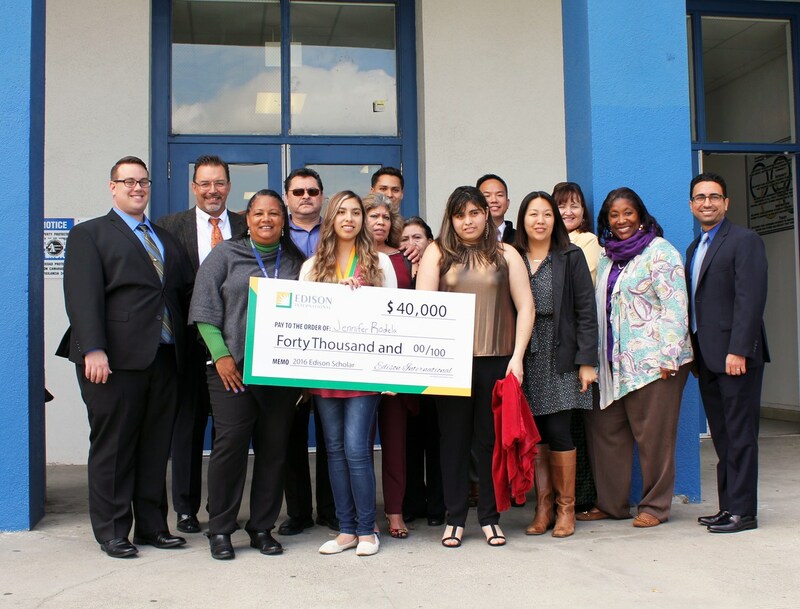 She was one of only 30 high school seniors to receive the scholarship this year. 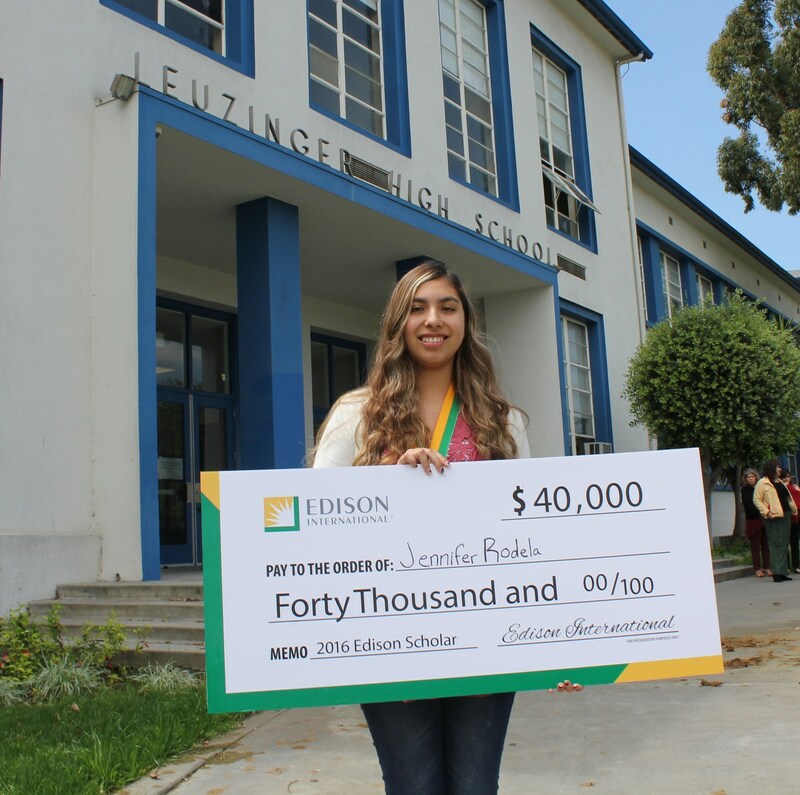 Jennifer is graduating as valedictorian with a 4.7 GPA and plans to study Computer Science at either UC San Diego or UC Irvine. 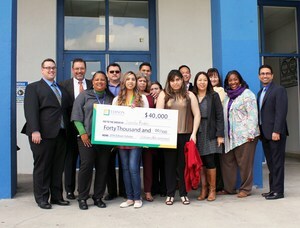 Each year, Edison International awards $1.2 million in scholarships through their Edison Scholars Program. 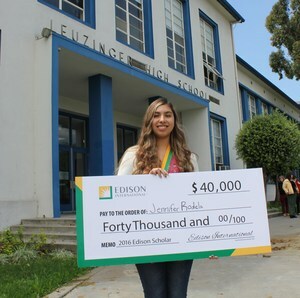 The program awards the scholarships to students who want to become engineers - electrical, mechanical, civil, computer, industrial, computer sciences/info system, environmental sciences - and plan to pursue studies in science, technology, engineering or math, the STEM fields, full time at a four-year college or university.